She’s one of my fellow organizers from Allie’s Transportation Baby Shower! 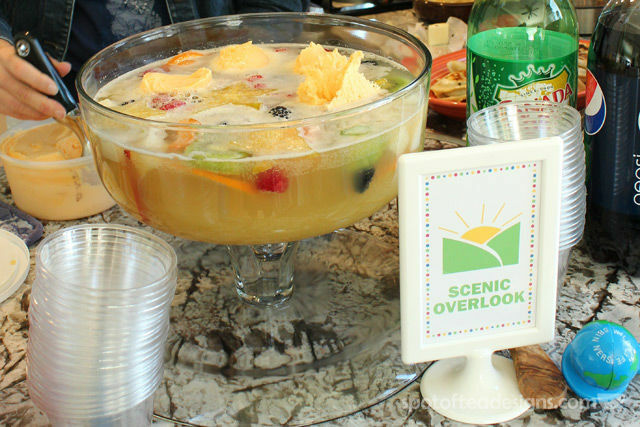 You may remember that she was the genius behind the “traffic light” drink arrangement and “Scenic Overlook” Sherbert Punch. 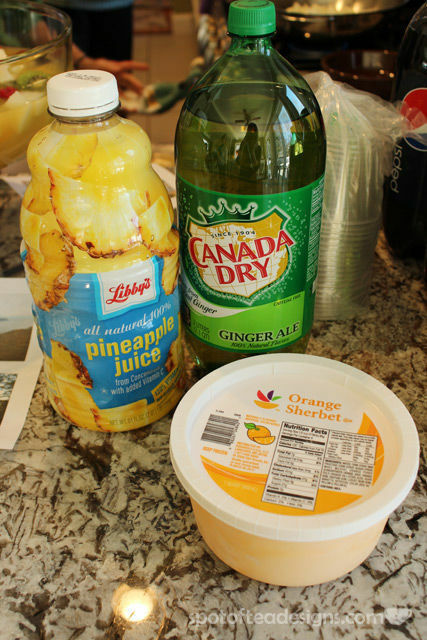 Today she’s back to share a little more information on this yummy punch! Take it away, Genny! 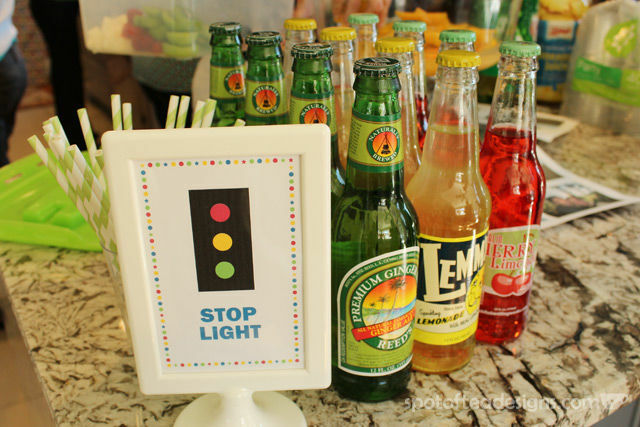 Sherbert Punch: It has a sparkle and a fizz that just seems to make people happy at a party. How can you go wrong with something that sparkles and makes people’s eyes light up – especially, when you see them going back to the punch bowl for seconds, thirds, and well… frankly- fourths?! Let me tell you, I used to be scared of trying this drink. I thought it looked like a science experiment; you know… that volcano explosion, but with sugar instead of vinegar? Then I met my current group of amazing girlfriends who seemed to always have a variation of this punch at a party. I finally gave in. I tried it… loved it… and thought I’d throw my hat in the ring. This punch was inspired by a woman who is always taking the most amazing trips around the world. Asia, Australia, South America, Africa, Europe… I think she is counting down the continents! She definitely takes the scenic-route, and her party deserved it’s own version. 2 Californian star fruit, sliced for optimal starry-ness! 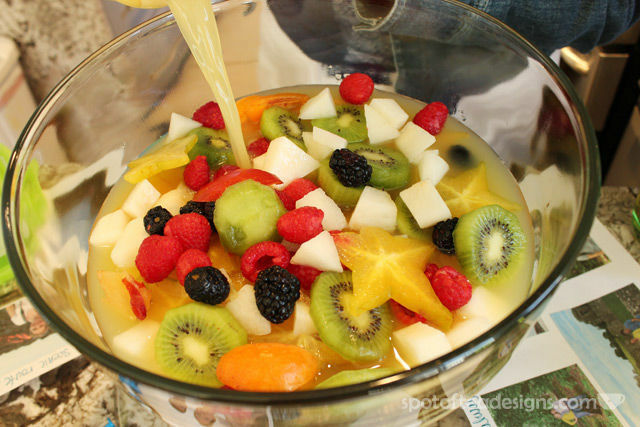 Place fruit in the bowl and add the liquid parts. Once guests arrive, spoon sherbert on top and sip away! 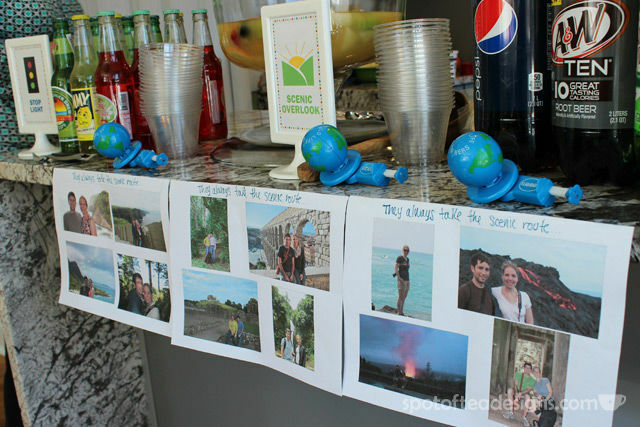 Click on the image above to see more details on the transportation themed shower!